It might not be Wagner’s Ride of the Valkyries, but one must admit that the scenario of the domed cathedral of Santa Maria del Fiore is similarly breathtaking! To celebrate the Epiphany Florence has brushed up one of its oldest traditions, documented back to 1417, when a secular brotherhood calling themselves the “Saintly Magi”, i Santi Re Magi, would parade the streets in the so-called Cavalcata dei Magi, the Ride of the Magi. In the 15th century the parade consisted of three different processions which would meet up in front of the Baptistery and proceed together up to the Basilica of San Marco, where, with songs and prayers, they would celebrate the Infant Jesus. Belonging to the Magi Company were also the members of the Medici Family. 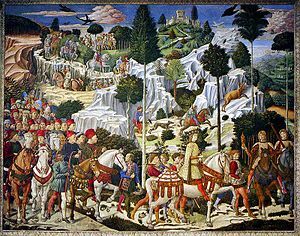 Cosimo the Elder commissioned Benozzo Gozzoli a fresco in 1459, which can today be admired in the Magi Chapel in Palazzo Medici Ricciardi and belongs to a famous cycle of frescoes of the artist, obviously, known as the ‘Journey of the Magi’. This is the most famous testimony of the ‘Ride’ and one can identify members of the Medici Family such as Giuliano and Lorenzo. Today the Ride of the Magi, with its three Wise Men and their retinue, leaves Piazza Pitti, crosses over Ponte Vecchio and arrives in Piazza della Signoria where it is joined by the Florentine Flag-wavers. The procession proceeds through Via Calzaiuoli until the Cathedral’s Square, where the Three Kings bestow their gifts to the Infant Jesus in the Living Crèche staged on the courtyard of Santa Maria del Fiore. Florence, a true treasure house. 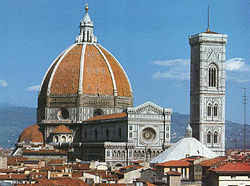 Link to our holiday apartments in Florence.